Not many buildings can claim to be an irregular tapering octadecagonal prism, but Orford Castle can, according to my seven year old son who has been doing shape in mathematics. It means that its cross-section has 18 sides. The things they teach them in school nowadays. The chapel is in the extension vestibule, above the entrance. Come and have a go if you think you're hard enough. Its tower is visible from a fair distance, a complement to that of St Bartholomew (although the church's tower is much more recent, completed in the 1960s). 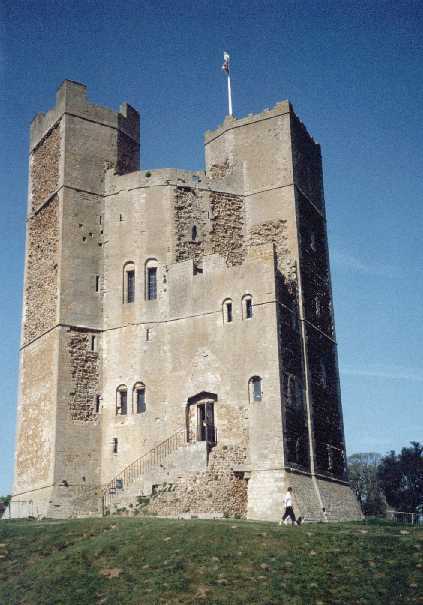 Orford Castle keep was built in the 1160s for Henry II. Pevsner says the architect was Alnoth, keeper of the King's buildings. The curious shape made it easily defendable, and difficult to undermine. The internal arrangements of the keep will be familiar to anyone who knows Warkworth or Conisborough. The chapel is on the first floor (there are four altogether, and a fine view from the top) and is off the central space, along a passage. It is actually not in the keep at all, but in a little battlemented extension, above the entrance. The chapel is roughly rectangular, and very small. The altar has been dressed in a most curious manner - sort of 'English Heritage Ritualistic', if you like. 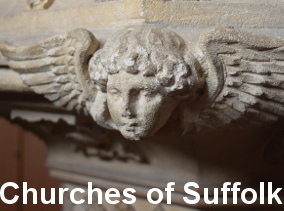 Nevertheless, if you lift up the frontal, which hardly seems disrespectful under the circumstances, you will see that this is the best preserved stone altar in Suffolk. The one at Bury Abbey is considerably rebuilt, while that at Ipswich Blackfriars hardly exists at all. The outer wall holds blank arcades, and the vague outlines of aumbry, piscina and sedilia. In its long history, this chapel witnessed the Catholic Mass for almost 400 years, and protestant prayerbook services for a century or so afterwards. 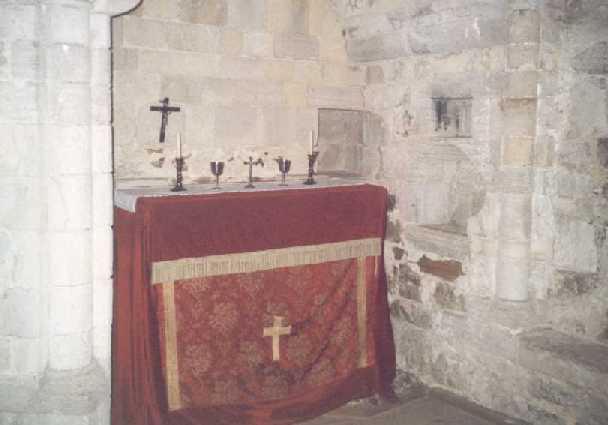 It is not used for liturgical purposes today, and is not considered a consecrated space. English Heritage Ritualistic. Note aumbry, piscina and sedilia.